Prashant joined ALMT Legal in December 2003 to help set up the firm’s Bangalore office. Prior to his association with ALMT Legal, he was associated with a leading Indian law firm initially in Mumbai and thereafter in Bangalore. Prashant Graduated with a Bachelor’s Degree in Arts from St. Xavier’s College in the year 1993, Bombay and Law from the Government Law College, Bombay University and enrolled with the Bar Council of Maharashtra & Goa in 1999. Prashant's areas of expertise include real estate & property law, litigation, arbitration and mediation. He advises a wide variety of clients on regulatory and legislative matters; Prashant has represented several large corporate houses in their high value land conveyancing deals in Bangalore. Prashant has also represented corporate houses, Banks & Financial Institutions and high net worth individuals in various dispute resolution and arbitrations. His experience includes general commercial transactions, intellectual property law and e-commerce related matters. Prashant has been awarded by the Leadership Management International, Waco, Texas for effective productivity and has been a participant of a variety of International Seminars on Arbitration, Mediation Franchise and Intellectual Property Rights. 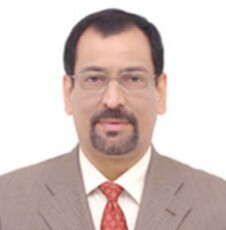 Prashant has conducted effective Arbitration and Mediation matters in various industries and has also acted as a mediator himself in high stake disputes.